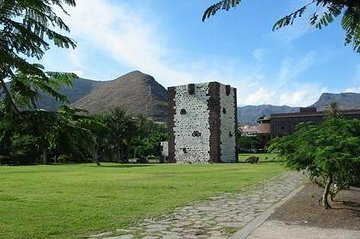 Cross the sea from Tenerife to La Gomera on a private day trip, and get acquainted with this gorgeous island. Take a ferry with an expert guide and experience the palm-laden capital of San Sebastian and verdant mountains. Explore the serene rain forest of the UNESCO World Heritage-protected Garajonay National Park; behold the Roque de Agando beauty spot; and hear ‘silbo gomera’ — the islanders' whistling language — over lunch. Finally, explore the landmarks of pretty San Sebastian, a base for explorer Christopher Columbus on his 1492 journey to the Americas.